When I moved to Swift Current in 2008, I had one caveat before I would take the plunge and become a “Saskatchewanian” – I needed to have access to a good latte. The real deal – not one that was dispensed out of a gas station one-button machine. 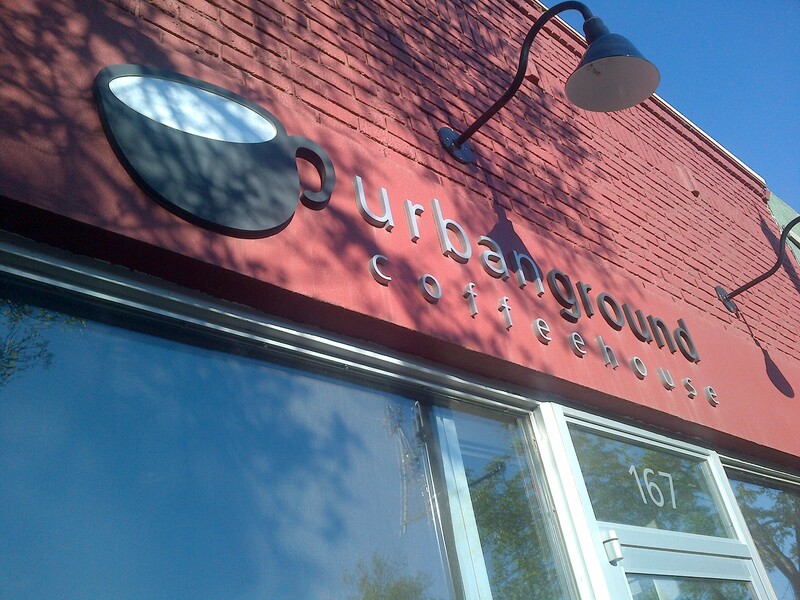 Thankfully, my editor informed me that just one month before we had planned to move, a new coffee place had just opened up called Urban Ground. My latte addiction could safely continue. 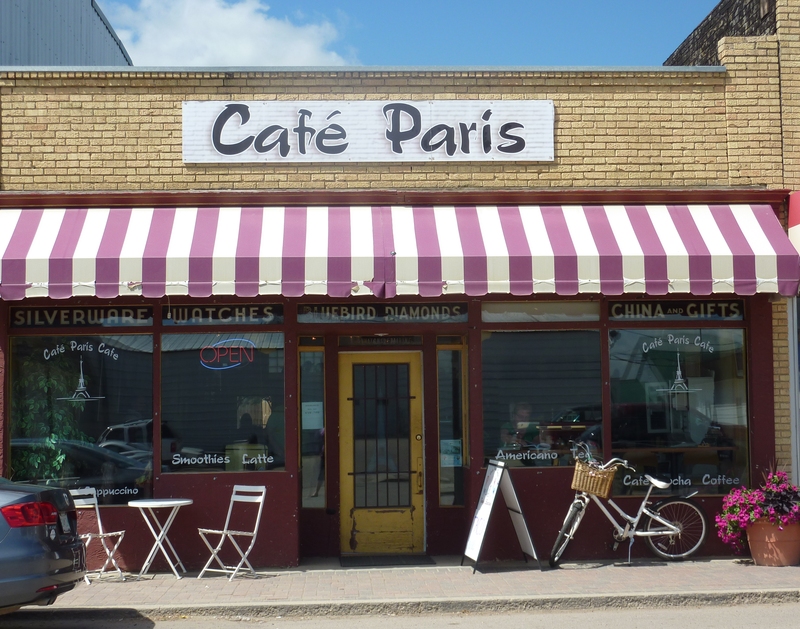 A great little hangout in Swift Current’s historic downtown with a great mix of low tables, bar-style tables, comfy chairs and couches, they’ve got hot and cold beverages, a standard selection of sweet treats, and free wi-fi. 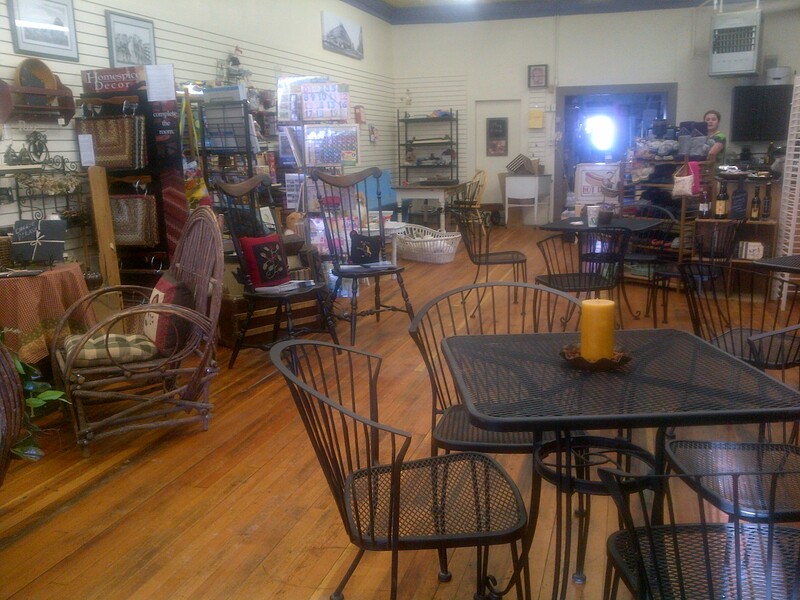 It’s a great place to have a business meeting, chat with friends, or get your bearings if you’re just stopping in and need to check your emails. 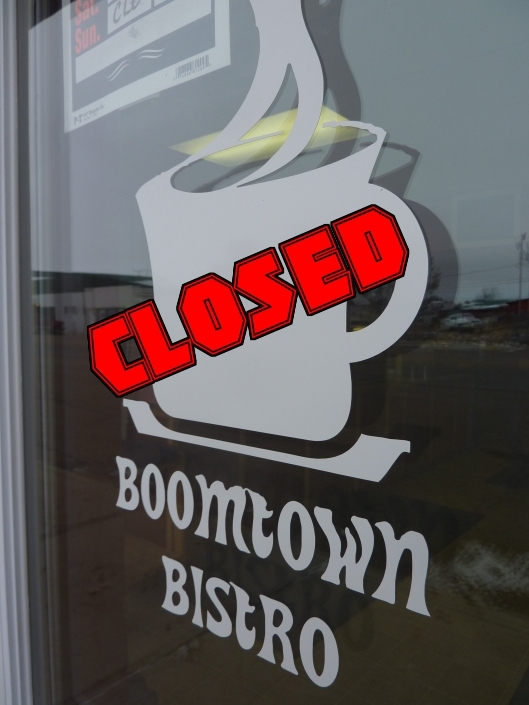 Servicing not only townsfolk, and tourists, the Boomtown Bistro in Shaunavon also services the many oil workers that temporarily call Shaunavon home. 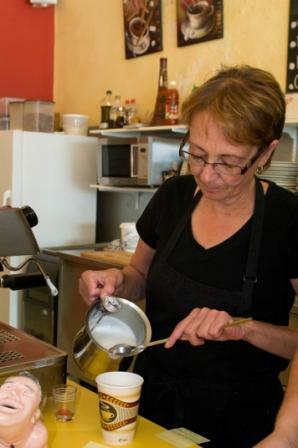 To that end, in addition to their delicious lattes and other java delights, they also offer an actual menu with a light breakfast, breakfast buns “to go,” soup, sandwiches, and muffins for light lunches. Those looking for a work lunch can also find it here with their “brown bag lunches” – which can also double as a great pre-packed picnics for those looking to head out and do some hiking. 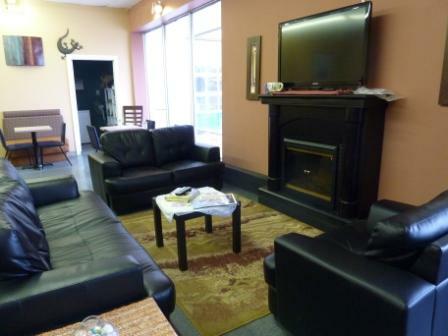 The space itself offers dining tables for those who want to stay for a while, and a “living room” area for those looking for some added space to relax in. 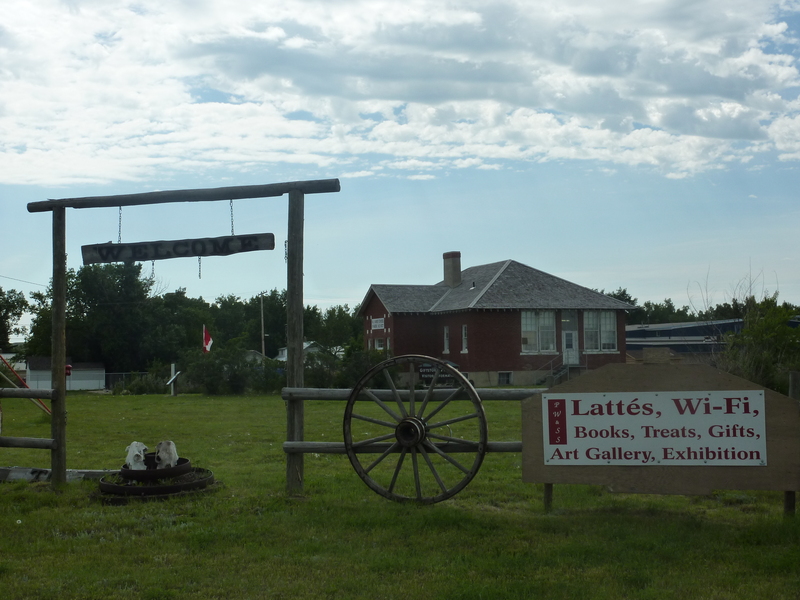 One of the most unlikely places I ever would have thought to find a great latte is the Prairie Wind & Silver Sage Art Gallery and Museum located in Val Marie, at the entrance to Grasslands National Park. Considering how small the community is, it’s a great asset to the town. 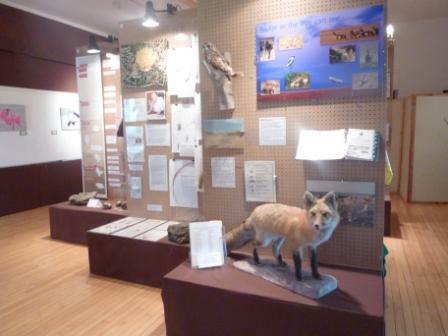 Housed in an old schoolhouse, it’s open from 10am-6pm (though closed for lunch) 7 days a week, and acts not only as internet cafe, but also offers gift items and books for tourists, a museum depicting some of the area’s early settler history and it’s natural history, and a small art gallery (one of three you’ll find in Val Marie). Here you’ll also find people from around the world inside updating their blogs and checking their emails! (I met a couple from Germany!). How to GoHere: With all of these little places, basically if you can find downtown you can find them and their lattes! Gotta Go? : Seeing as all offer food, all of their bathrooms are up to snuff clean-wise, but for decor the top prize would have to go to Urban Ground in Swift Current! All of the places listed have true-blue espresso machines and cater to the coffee culture in that you can have it “your way.” Iced, frapped, skinny, sugar free, extra hot – you can use all of your traditional coffee lingo at these places! While these are some of my favourite java spots and the only ones I know of where a latte is yours for the asking, that’s not to say other places in the southwest don’t serve up a good cup of the java – but that’s another post for another time. Cool drinks and in some cases milk shakes and Italian sodas are also available at all of these jumping joints too! 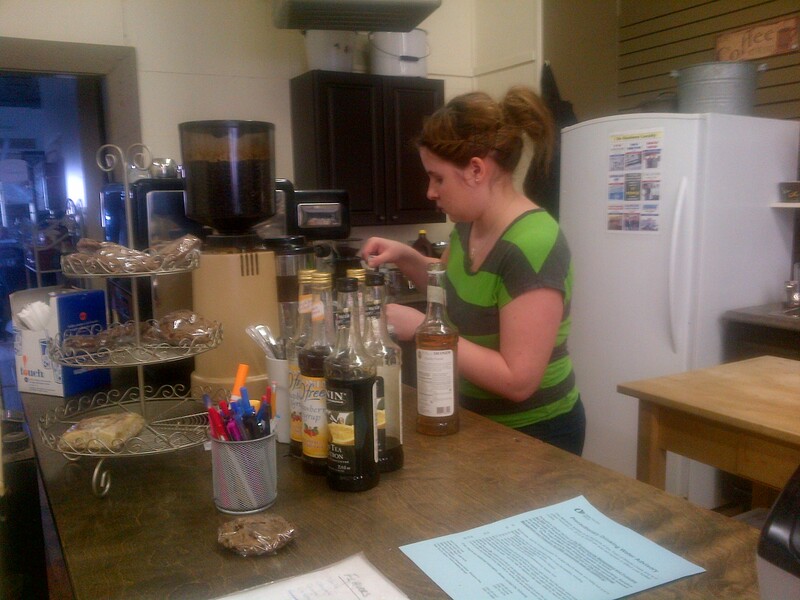 Not to be missed – Swift Current also has it’s own Starbucks! Located in the city’s Pharmasave (the largest in Saskatchewan) it’s currently undergoing renovations to make it even bigger and better – look for a future post soon. Think I missed one? Feel free to let me know – I’m always on the hunt for a good latte! LOVE those chairs at Daily Grind. Windsor-like. Roadtripping SK this year. Can’t wait! !